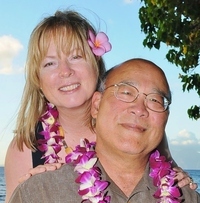 ELDORA Suri Alpacas is a farm located in Salem, Oregon owned by Leanne and Richard Nakashima. Congratulations to Richard Bohanon of Knovelston Farm on his Nationals First Place win with Eldora's Jasmine! March 2019: Electrofyre wins Get of Sire again, at the Nationals Halter Show in Denver! Congratulations and Thank You to Nancy Lindemood of 2Point Farm on her purchase of Eldora's Tempo by Rockstar. Starting in August 2019, Eldora's Tempo will be co-owned by 2Point Farm, Raynay Alpaca Farm, and Sie Sutter Suri. Congratulations and Thank You to Randy and Beth Brealey on their purchase of Jr. Herdsire Eldora's Banzai. Congratulations and Thank You to Bob and Kollette Newman of Briarwood Acres on their purchase of Jr. Herdsire Eldora's Yukon. Congratulations and Thank You to SueLynn Childers on her purchase of Jr. Herdsire Eldora's Kodiak. Eldora's Accoyo Bravo wins 2018 AOA Nationals Get of Sire Fleece competition. 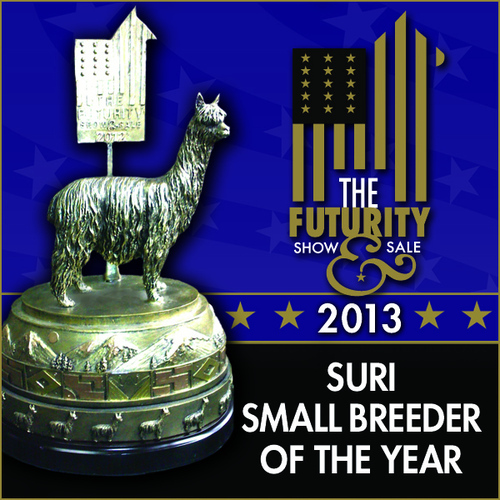 At Eldora Suri Alpacas our specialty is breeding the rare and beautiful Suri Alpaca. With a focus on sustainable small farm to market operation, producing fine alpaca garments and accessories with our own Suri Alpaca fleeces is our passionate pursuit. 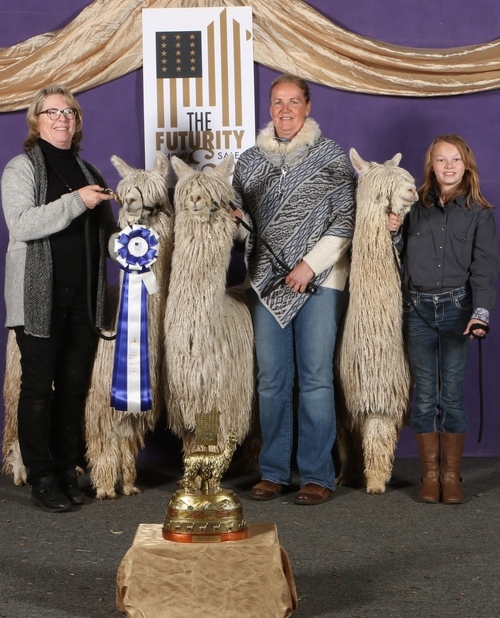 Fine tuning our multi-generation Champion Alpaca genetics has been an ongoing success over the years, culminating in winning the Futurity Breeder of the Year title in 2013. What a thrill and a priviledge! We enjoy a stimulating, fulfulling lifestyle raising animals who provide us with amazing, beautiful fiber. We are located in the emerald green Willamette Valley in Oregon. 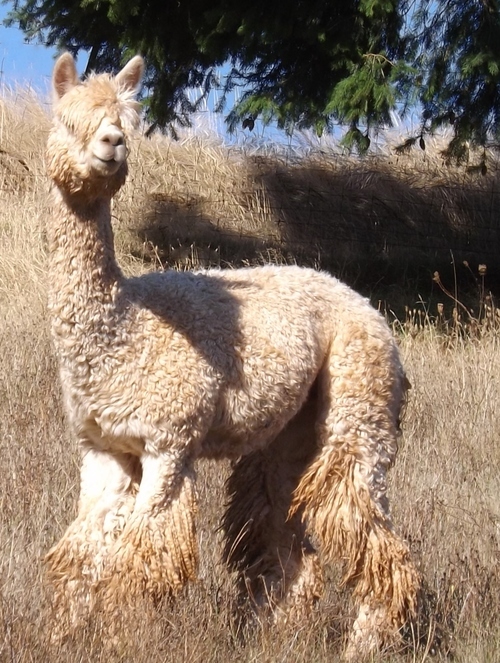 While raising top quality breeding stock that meets the industry's highest standards, we make full use of our alpaca's fiber by utilizing our fiber co-op as well as producing our very own yarn, spinning materials, fabric, clothing and accessories. Doing all that isn't easy, but we love it. Life is certainly not boring here, by any stretch of the imagination. If you've never had your hands on a Suri Alpaca garment, you are in for a treat the first time. Can you imagine yarn or fabric that feels like cashmere, silk and angora? That's Suri Alpaca. Could you also imagine what it's like to own and raise these beautiful animals? Eldora has provided quality alpacas and services for many years. 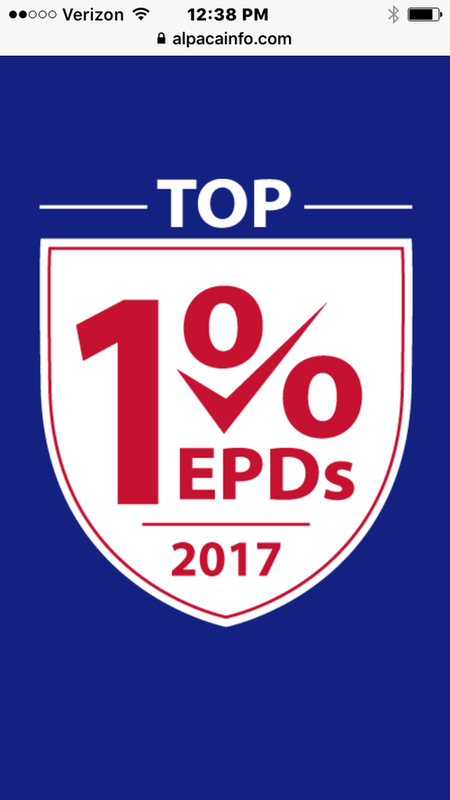 We have happy customers in Oregon, Washington, California, Idaho, Utah, Colorado, New Mexico, Nebraska, Oklahoma, Kansas, Texas, Indiana, Iowa, Wisconsin, Illinois, Michigan, Ohio, Georgia, New York, New Jersey, Pennsylvania, North Carolina, Florida & Kentucky.